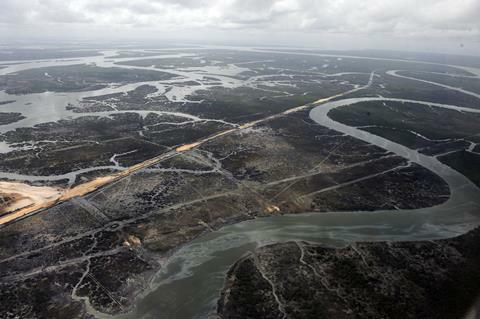 The Niger Delta is an area known for its bountiful supply of petroleum and has been an established hotspot for oil and gas production since the 1950s. But this comes at a destructive price: it’s also one of the most polluted places on the planet. Land once fertile for crops is now barren, while polluted water erodes fish supplies, restricts available drinking water and causes serious health problems. Paving the way in tackling these issues is Eucharia Nwaichi whose work uses decidedly greener means of cleaning up these polluted environments. 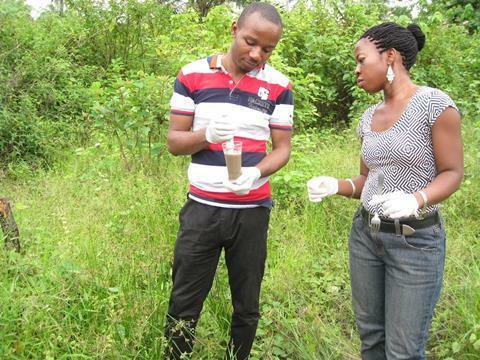 Plants are at the centre of Nwaichi’s research into sustainable methods of degrading or removing the contaminants present in the Niger Delta in an effort to salvage the land, restore biodiversity and help local communities. The process, called phytoremediation, uses legumes and grasses’ natural ability to directly take up hydrocarbons that can’t be broken down. Alternatively, the plants may secrete enzymes that help carry out this removal. Nwaichi also makes use of associated microorganisms contained in the plant nodules for a similar clean-up action in what’s known as bioremediation. ‘[It’s] about using plants for assistance,’ she summarises. 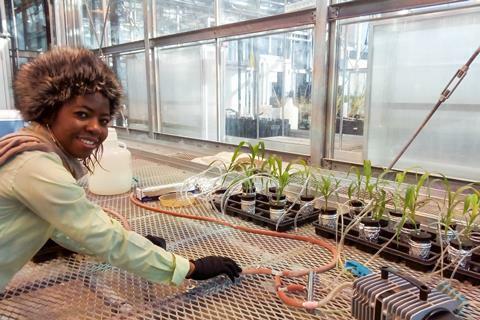 Much of her remaining work at the University of Port Harcourt in Nigeria involves monitoring, characterising and assessing these technologies and their performance, as well as screening different plant species for their potential. Some of the plants Nwaichi has already harnessed for their ability to clean up contaminated media include the velvet bean, butterfly pea, lemon grass, bambara groundnuts, mustard plants and fimbristylis. She has used the latter four to successfully remove hydrocarbons and heavy metals like arsenic from polluted soil.1 Bioremediation can then be deployed by introducing indigenous microorganisms that can be activated using biological stimulants. It’s important that these plants fulfil several key criteria to be good candidates for phytoremediation, including an ability to grow and survive even in the presence of usually toxic contaminants. Currently, there are four species – velvet bean, mustard plants, lemongrass and fimbristylis – that Nwaichi works with that she deems reliable, although she is considering shifting to combination approaches to broaden the repertoire of features and species that can be used for phyto- and general bioremediation in the future. 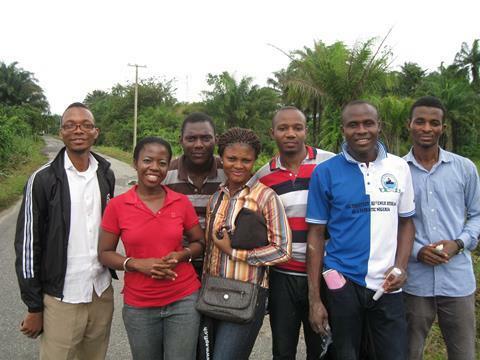 Nwaichi’s most recent efforts to conserve the natural surroundings of one of Nigeria’s most densely populated regions lies in an increasingly valuable tool offered to us by nature: enzymes. By characterising and selecting certain plant enzymes, the performance of the microorganisms used in the remediation process can be enhanced to perform at their optimum. This is necessary because their languidness and poor survivability usually constitute major drawbacks in their use. Some of these enzymes include peroxidases, oxidoreductases, hydrolases and laccases, all of which act as catalysts for the diverse chemical reactions involved in the bioremediation pathways. Chemically, these enzymes lower the activation energy needed for the reaction to thrive without altering the overall free energy change. In the case of crude oil pollution, these enzymes are able to enhance the performance of natural degraders in the soil — microbial communities that remain unaltered post-clean up thanks to the biological origins of the enzymes. This in turn preserves the soil so it can continue to be used for different purposes, an outcome that Nwaichi is optimistic will become more widespread with the continued use of new green technology. A key hurdle in achieving this is forming a good relationship between the researchers, government and local people of Nigeria. A lack of understanding, trust and cooperation is coming at the expense of scientific progress and adequate protection of the environment — ‘The science is really suffering,’ Nwaichi warns. Along with her students, however, some of which are from nearby communities, she is attempting to ‘make a connection that will mean [locals] will accept me … You show evidence of what you’ve done in other communities and how they cooperated with you.